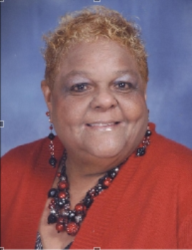 Homegoing celebration will be held 1PM Sat. Feb. 2, 2019 at Greater Shiloh Missionary Baptist Church with burial at Valhalla Cemetery. With Heartfelt Sympathy to the Cade Family, May you rely on the God of all comfort to help you to endure the days ahead. "God is our refuge and strength” (Psalms 46:1).